Now, we’re ready to start providing our superior service. 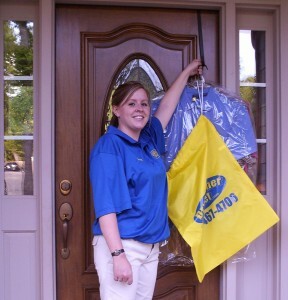 Your dry cleaning is delivered one day after your pick up. Your driver places your freshly cleaned and pressed garments back on the hook along with your garment bag. If you have any questions regarding this process, check our FAQ page to see if we answer your question. If you don’t find the information you need please don’t hesitate to call [770-851-1234] because without you we have no business. We pride ourselves in our service.